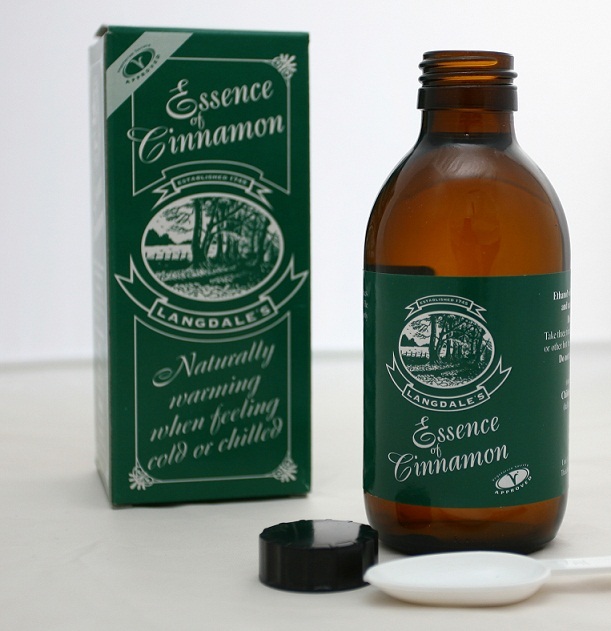 Langdale’s Essence of Cinnamon is one of Britain’s oldest herbal products, founded in 1745 by Edward Langdale in London. Langdale’s is a soothing Cinnamon based concentrate which when added to your favourite warm beverage infuses it with aromatic flavours that embrace you with warmth, which helps to ward off the effects of the cold. Langdale's is steeped in over 260 years of history and has been trusted and used by generations of families. Langdale’s Essence of Cinnamon is gluten and sugar free, approved by the Vegetarian Society and is created by blending the beneficial properties of Cinnamon with three health supporting herbs.Langdale's has been manufactured in the UK since 1745.